Everyone is different. The decision the get surgery should only be made after weighing the pros and cons. It is a very beneficial surgery for those that have had to wear contacts or glass for a long period of time. To be considered a candidate for the surgery you must be 18 or older, have had no change in your prescription for the last twelve months, and have healthy eyes. Some medical conditions may prevent you from being a good candidate, as well. 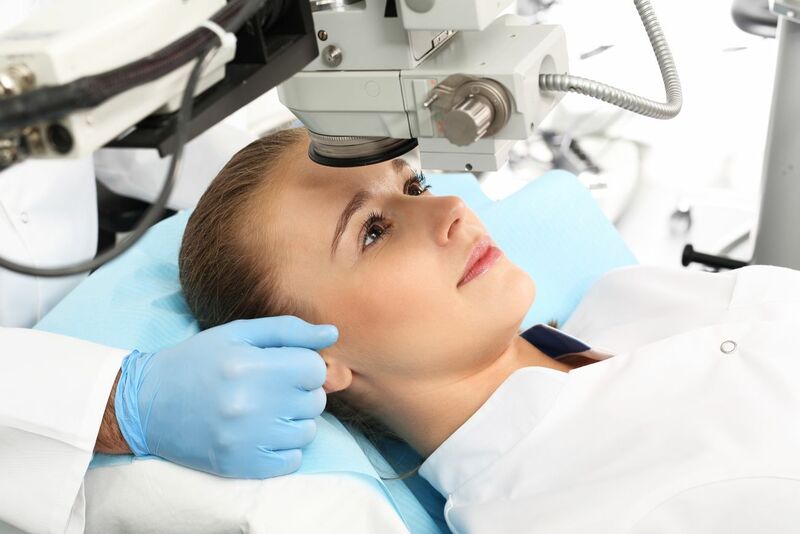 The best way to see if laser surgery is right for you is to talk with your ophthalmologist. While Lasik eye surgery has become more of a common procedure, there are still risks that need to be considered. While the risks of sight-threatening complications have shown to result in less than 1% of overall surgeries, there is still the risk of losing vision that cannot be corrected with surgery or corrective lenses. The first laser eye surgery was completed in 1998, so long term results are unknown. However, it has been found that results may diminish with age. You may also not receive the results you had hoped to achieve. Some patients may still need to wear glasses or contact lenses even after the surgery. How soon after surgery can normal activities be resumed? Many patients can return to work the day after surgery. It is different for every candidate. Vision improvements from the surgery usually occur in the first 24 to 48 hours. However, it can take several months for all improvements to show. Many doctors caution against some activities such as sports, swimming, etc. for a few weeks. How can I find the right surgeon? While price may be an important factor, do not base your choice of doctor on price. Stay clear of doctors that claim you will have 20/20 vision or your money back guaranteed. Research surgeons and find out about their background. Consider their experience, success rates, and even scope out their office. It is also helpful to ask your optometrist, ophthalmologist, or even your physician for referrals. Before you can become a candidate for surgery, you must go for an evaluation. The evaluation process will usually take anywhere from 2 to 3 hours. For contact wearers, you may be asked to discontinue use for a few days prior to the evaluation. At this time, your eyes will be dilated for a thorough eye exam. You will also discuss any medical conditions, past surgeries, family history, and other factors that need to be considered prior to any surgery.